The beginning and early years. 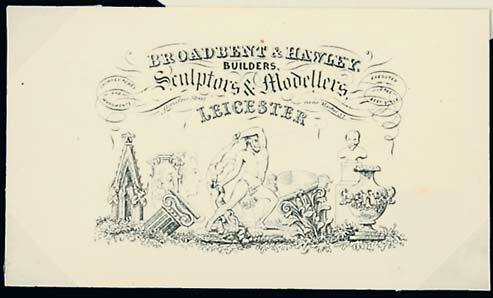 In the early 1840's a young stonemason/architect decided to set up his own firm in Leicester aptly named Broadbent Limited. Benjamin Broadbent had a great reputation locally as a competent workman. (I found plenty of news clippings mentioning various works he was involved with). He was involved with another man early on and they traded as Broadbent and Hawley until they dissolved the partnership on the Friday 24th March 1854, they were (see below) His early work tended to be associated with the Church, especially in 1855, when the Rev Richard Waterfield of All Saints Church in Thurcaston asked Benjamin to design and make a marble commemorative plaque to mark the 300th anniversary of Bishop Hugh Latimer martyrdom of 1555. It can still be found in the Church today. (Photo to follow). He was so impressed with his work, that Rev Waterfield set him on a year or so later to rebuild Saint Mary's Church in Anstey. In 1856, another of his work and possibly the most famous work to date was presented to the city of Leicester. A plaque was set into the side of a building on the Bow Bridge close to where King Richard III remains were said to have been thrown. Up until recently that was discredited. The bridge was eventually replaced and luckily the sign was moved and is now a tourist attraction close by. See the photo gallery below. During the 1850's Benjamin was employing about twenty men and was advertising himself as a builder and architect. 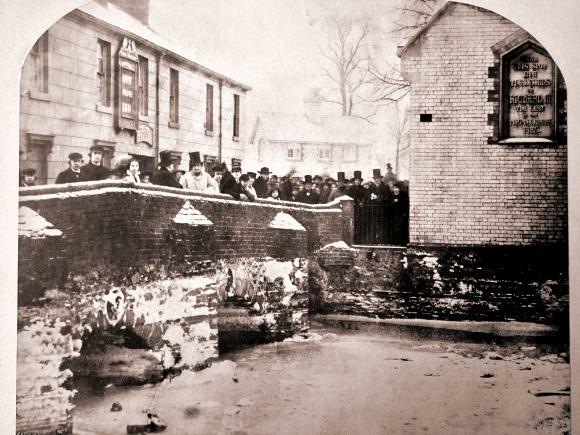 The builders yard was based in Millstone Lane, and were also noted in Victoria Works. 1862 was going to be a sad year for the company, Benjamin passed away, he had just built him and the family a lovely home called Victoria House on Belgrave Lane. His son Benjamin Junior took over the reigns and soon after brought in Jacob Stanley, who was his brother in law. This partnership was going to be a short but successful one. New era for Broadbent Limited. Benjamin set about revamping Broadbents, adding a builders merchants to the companies portfolio with a showroom and offices at The Spa, Humberstone Road, along with retail yards at Erskine Street and West Bridge Station in the city. They also traded as slate and tiling contractors to complement the stock they kept. Broadbents were fast becoming the largest stockist of every kind of building material in the Midlands. Jacob and Benjamin for a brief time were partners in Stockingford, Nuneaton. The pair bought a brickyard, they could see the potential that this would have for Broadbent's business links. The pairs involvement did'nt last long as they went their separate ways dissolving the partnership in 1871 just a few years after the investment. 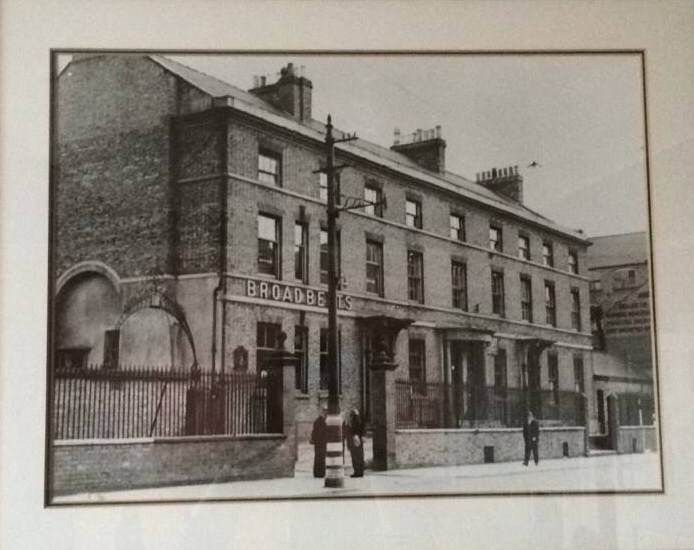 The Broadbents kept close links with Nuneaton and the newly formed Stanley Bros firm. Benjamin's focus was now back in Leicester. The company were making links with all the big manufacturers, Haunchwood Brick and Tile Co, Broseley Tile Co, Rugby Cement just to name a few. The brick below show's they had their own bricks too. 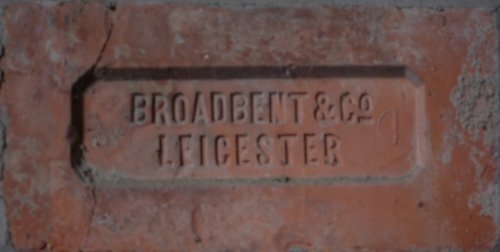 I am guessing the links they had with Stanley Bros saw them get Broadbent & Co bricks stamped for them.